November 23: now as then, on the occasion of San Clemente feast day, the historic garden of the Royal Park of Capodimonte opens to the public and it does so to revive ancient productions dating back to Bourbon. 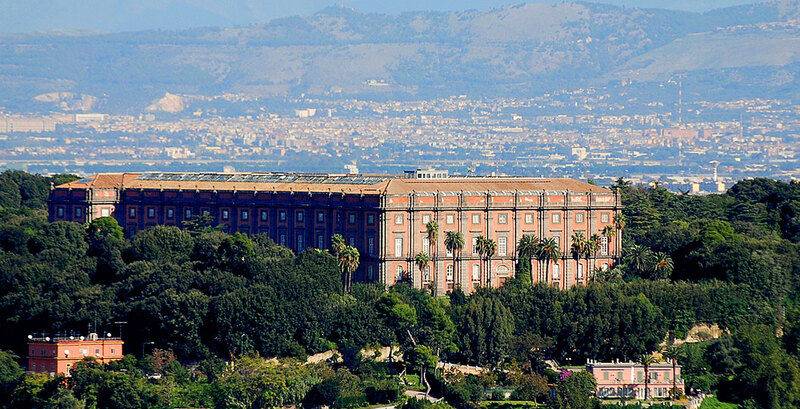 Well over a hundred acres wanted by Charles III of Bourbon, shortly after he assumed the regency, as his own shooting ground, the largest green area of Napoli is at the core of an enhancement project that consists in restarting some historically rooted productive activities. From the restoration of the gardens, which made this place an authentic farm, to fruit trees and flowers, which enriched the banquets and adorned the royal family rooms, to the porcelain manufacture, another great passion of the king: these are the key factors on which the revival program rests. The project, dubbed “the garden of delights” to remind the one that was once attached to Casino della Regina, is promoted by Direzione Regionale per i Beni Culturali, Direzione del Real Bosco di Capodimonte and Soprintendenza BAPSAE of Naples in cooperation with Slow Food Campania, Fabbrica delle Arti and Lande. The aim is to rediscover and shine the beauty of the “bosco verdeggiante dalle fresche ombrie”, to quote the Italian novelist Matilde Serao, so as to become an attractive point of the Neapolitan culture. The day ends with Enzo Coccia and the tasting of some Neapolitan pizzas with papacelle and a San Marzano tomato variety called Old tomato of Naples, protected by Slow Food and cultivated, ​​two years ago, in the garden Torre. “This initiative is really important”, Enzo smiles in an ebullient way while he is firing again the wood-fired oven kept in Casamento, the ancient home of the court gardener, where, according to contemporary accounts, the margherita pizza was baked for the first time. At that time, the royal family opened the garden only on the Saint feast day granting free access to the crowd, whereas it is just the first of a long series of interventions.